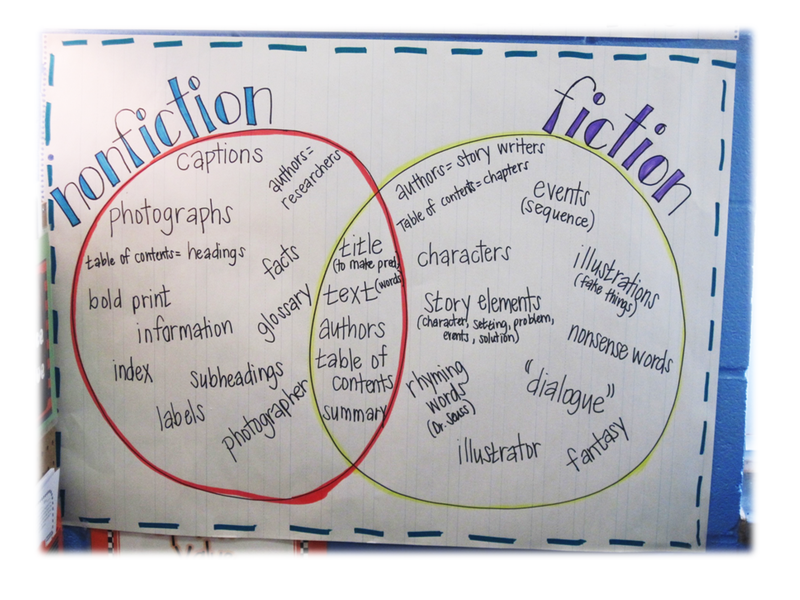 These anchor charts will help you answer all your students’ questions about nonfiction. 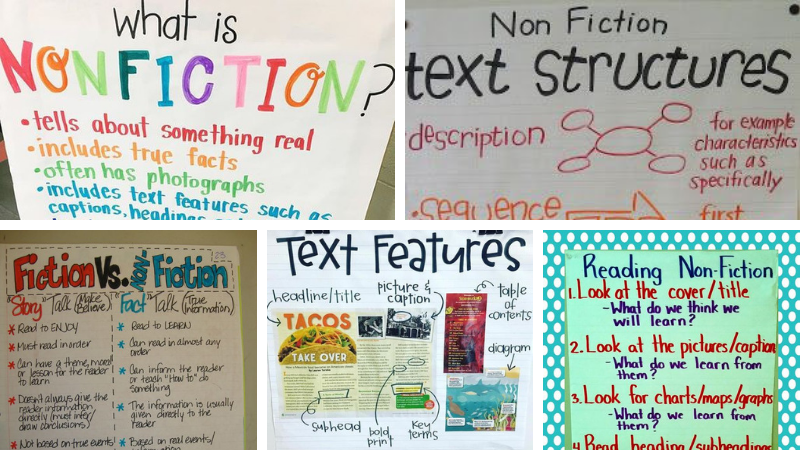 When it comes to teaching nonfiction reading and writing, anchor charts are a valuable tool to solidify the what, when, why and how in learners’ minds. Not the artistic type? 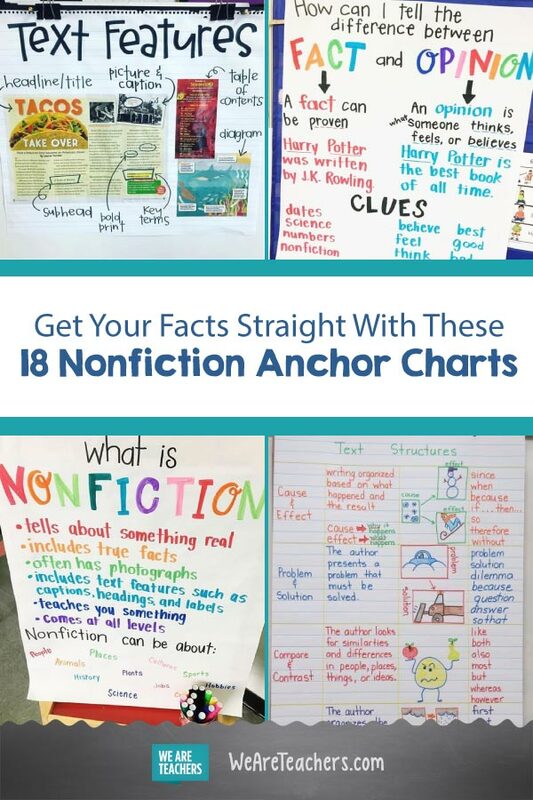 No worries—we’ve collected some of our favorite nonfiction anchor charts for you to recreate in your classroom. Nonfiction is informational text that uses facts to teach learners about something. 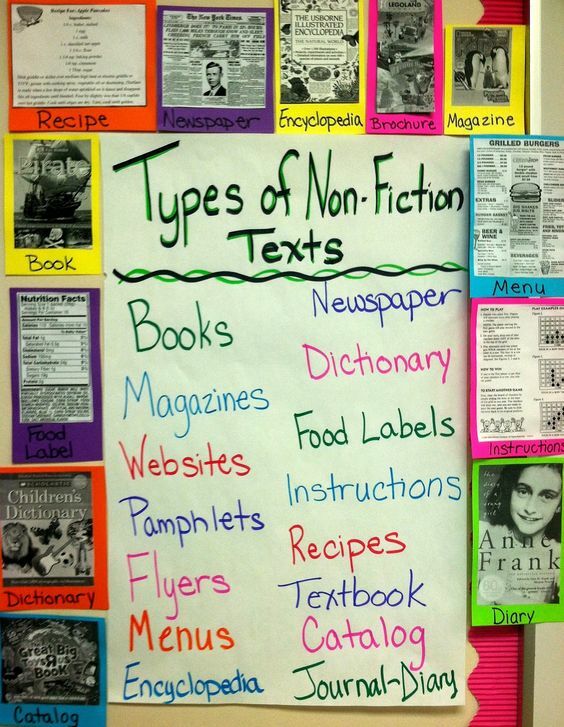 Nonfiction texts can be found in a variety of forms. 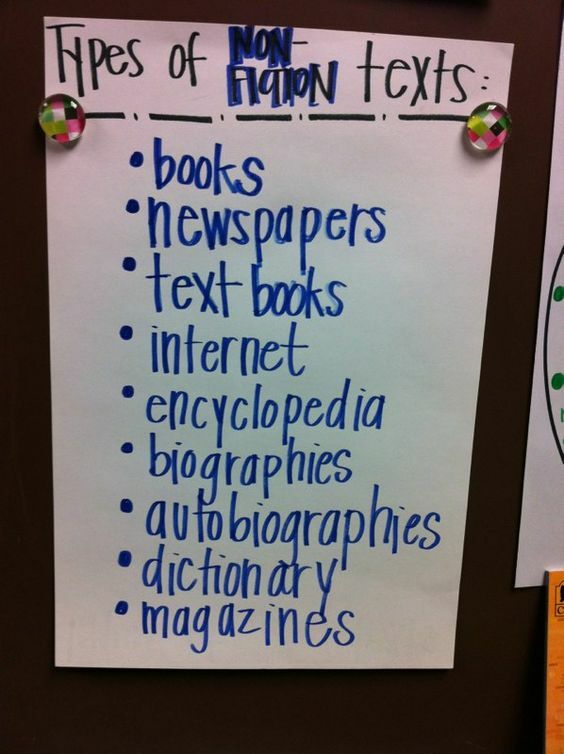 Brainstorm with your students about where they may find this type of writing. Drive your point home with pictures and samples of nonfiction sources. 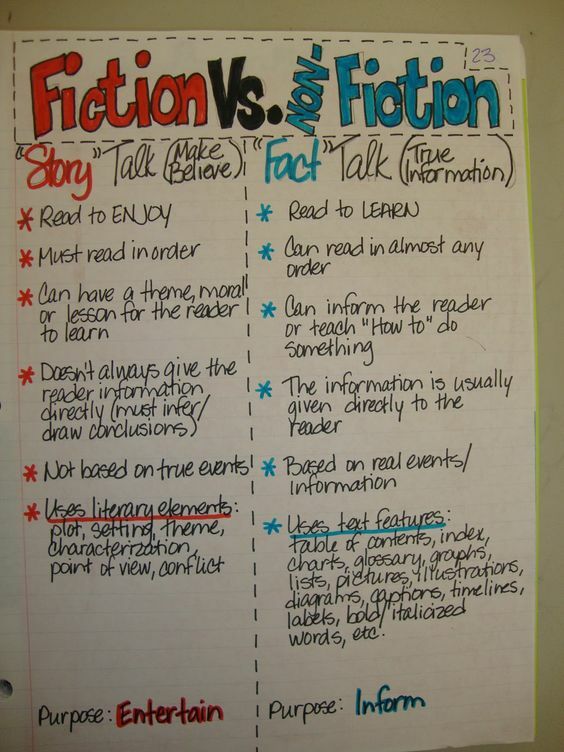 What’s the difference between fiction and nonfiction? Good question. 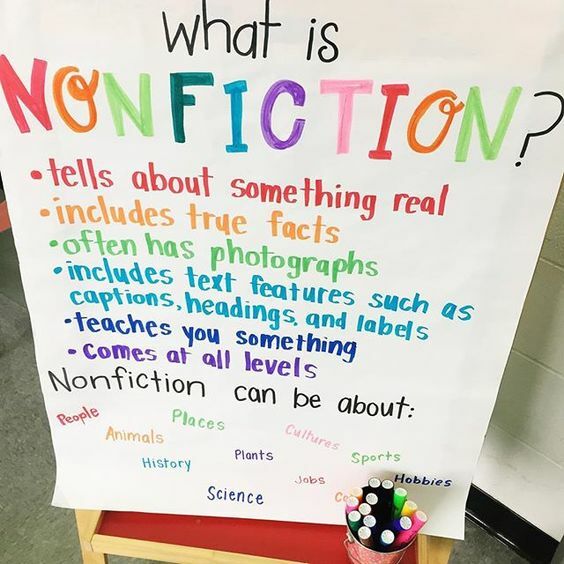 Many young learners get hung up on the “non” portion of the word nonfiction, reasoning that nonfiction must mean not real. So spend lots of time sorting through examples of different types of writing to help your students memorize the difference. How do we read nonfiction? As opposed to reading stories for pleasure, the main purpose for reading nonfiction is to learn facts about something. 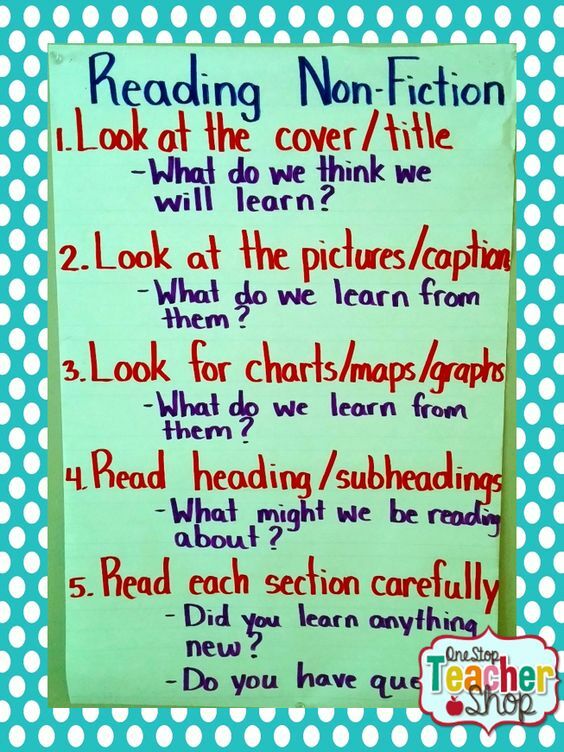 Understanding this helps readers set a purpose for reading in a more focused, attentive way. 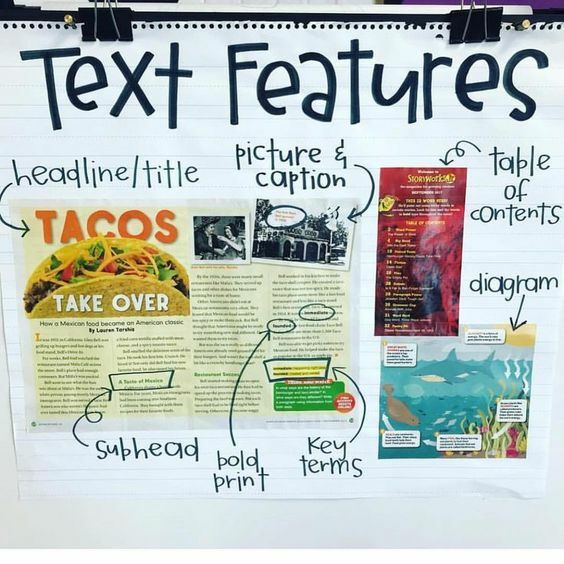 What are nonfiction text features? 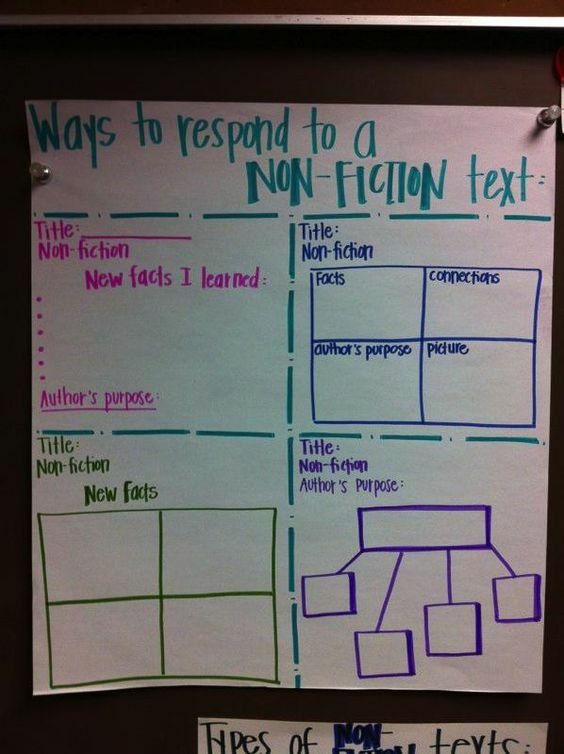 Nonfiction texts are organized differently than fiction. Usually the writing is more clear, concise and to the point. The most distinctive characteristic of nonfiction is the use of graphic features that supplement the learning. 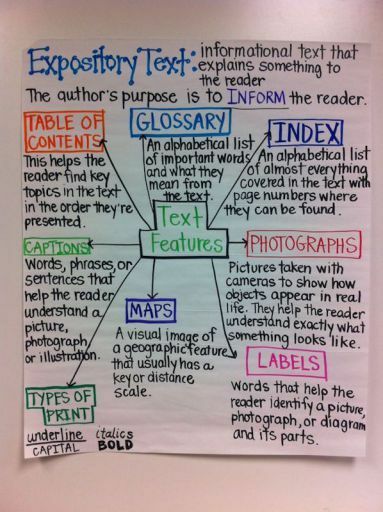 Use anchor charts to show examples of some of different text features readers may encounter. For example, photographs, charts, graphs, captions, etc. And this one, for upper elementary students, goes into greater detail about each feature. 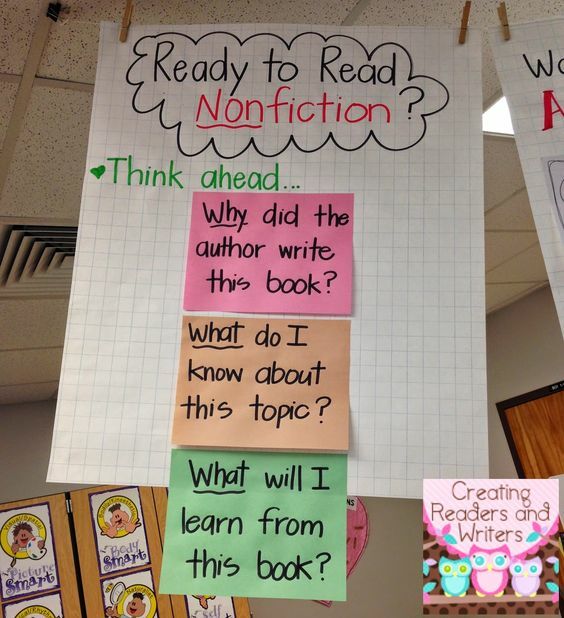 What are some of the ways nonfiction writing is organized? 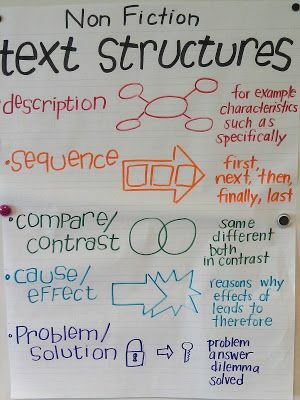 Nonfiction writing can follow a number of predictable formats, called text structures. Understanding the way a piece of nonfiction is organized ahead of time will help students better understanding what they’re reading. What are some ways to respond to nonfiction? Once students have read a nonfiction passage, it is important for them to show what they have learned. 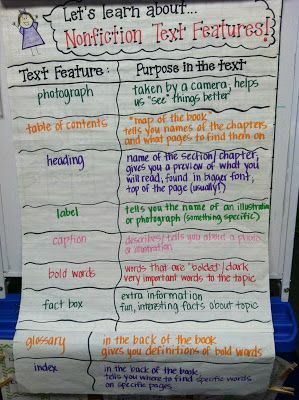 This anchor chart lays out four different ways for students to take notes and organize their thinking around a nonfiction text. Nonfiction writing is based on facts. But sometimes opinions can masquerade as truths. 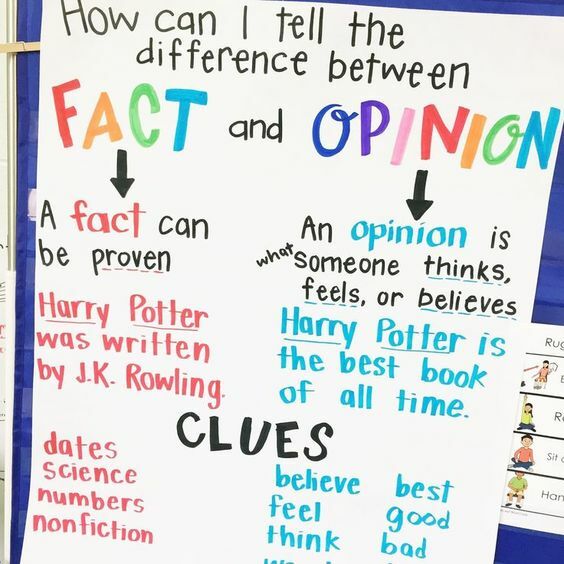 Teaching students to recognize the difference between facts and opinions will help them distinguish between fiction and nonfiction writing. 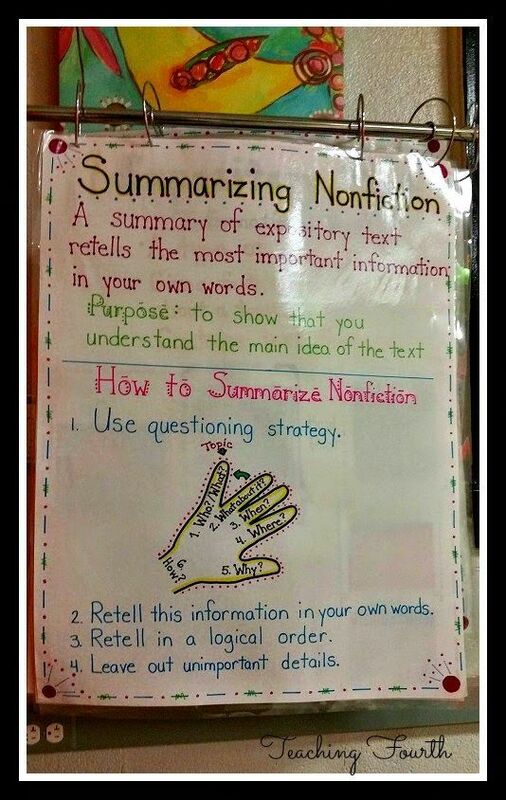 How do we summarize nonfiction? 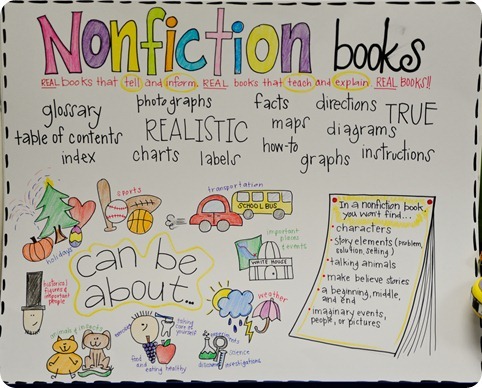 Is nonfiction the same thing as expository text? 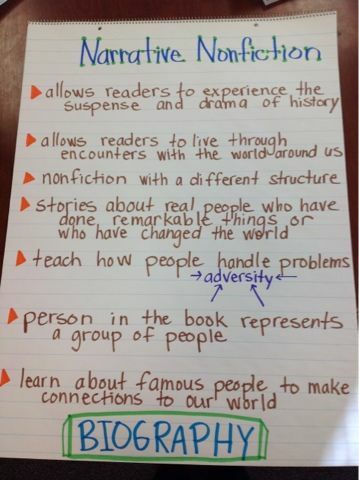 Narrative nonfiction is a different structure of nonfiction. Basically, it tells a story, includes facts and examples about a topic, and can include text features. 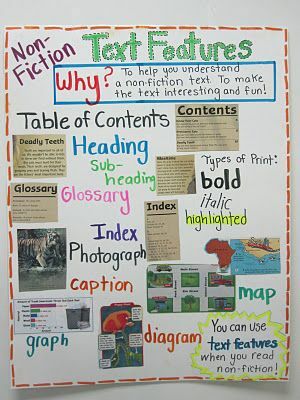 What are your favorite nonfiction anchor charts? Share your ideas in our WeAreTeachers HELPLINE group on Facebook. 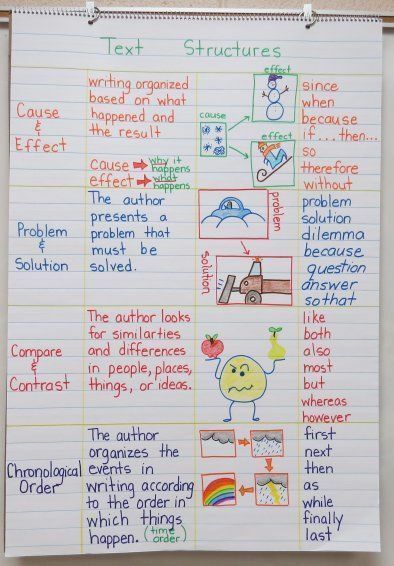 Also, check out 36 Awesome Anchor Charts for Teaching Writing.